For the second year in a row, the state of Kentucky has an individual qualifier for Nike Cross Nationals in Portland, OR on December 1. This year, Paul Dunbar senior Austin Mathews placed 6th at the Nike Cross Southeast Regional meet to punch his ticket to the national championship. He blistered the course in a new PR of 15:17.90 on the same course that he ran a 15:41.00 earlier this season at the Great American Cross Country Festival. Mathews qualification makes two Kentucky runners that have achieved the feat as Male's Kaitlyn Lacy accomplished it last year and just completed her freshman season at the University of Kentucky. Mathews, the East Carolina signee, has a couple more cross country races on his schedule this post-season before track season gets going. The Nike Cross National qualification brings some vindication to Mathews after a disappointing state meet where he placed 3rd in Class AAA in 16:03. An accomplishment such as this could not happen to a nicer kid. Good luck Austin! Austin was not the only athlete to run this weekend. 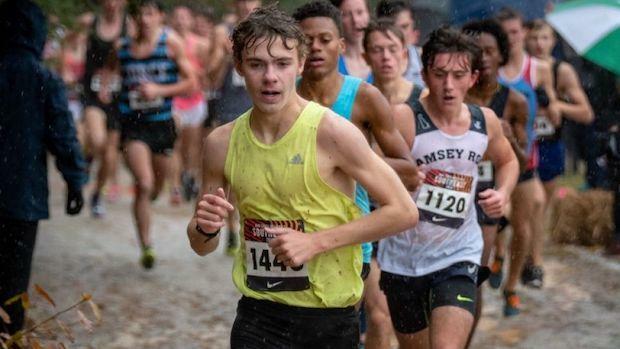 Fifty-eight ladies and 117 guys ran at either Nike Cross Southeast or Foot Locker South. Check out who were those athletes HERE! 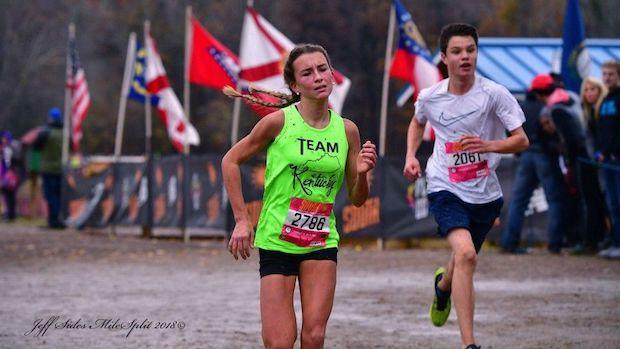 Class AAA state champ, Ciara O'Shea, took home the girls 13-14 age group title at Foot Locker South.